Created by Tokyo-based designer Shinya Oguchi, the Candle Holder is a minimal candle holder that offers variety. 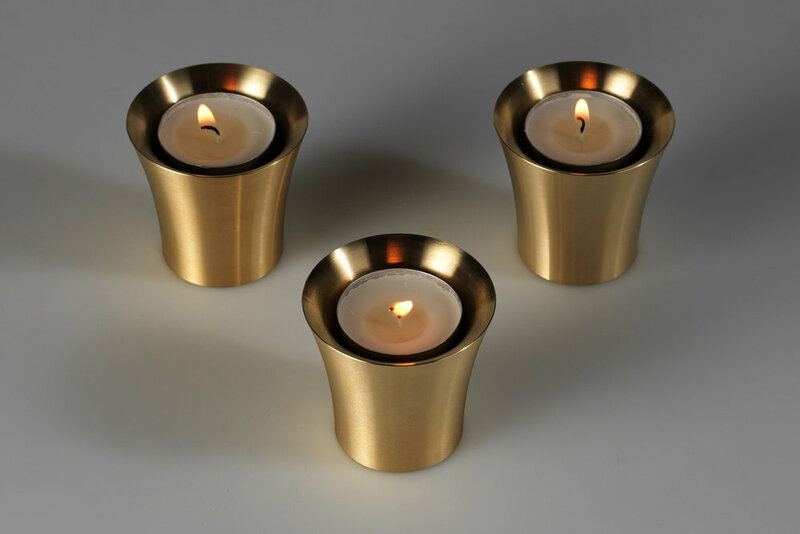 The candle holder can be used on both sides with the upper side slightly large than the lower side. The wider side of the candle holder can be used for tea candles while the narrower side is perfect for longer table candles. The holder is made from solid metal which provides enough weight to support the candle no matter the side.